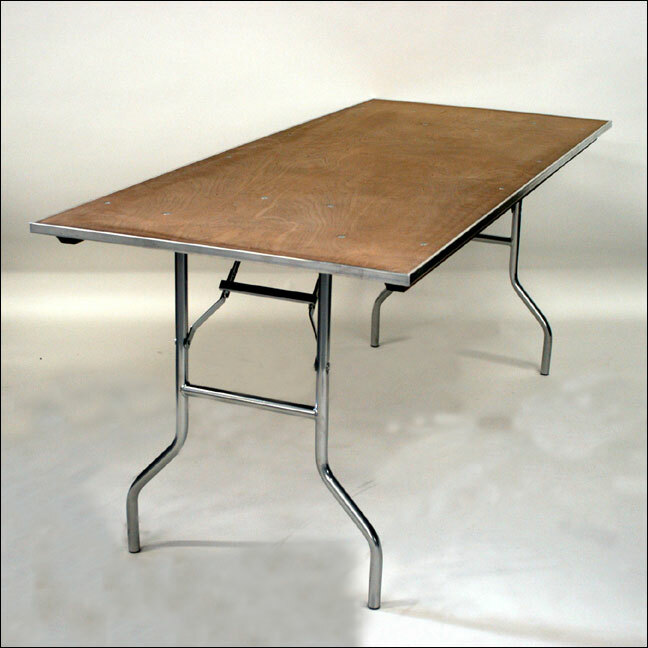 For large formal dinners, this table is 8′ long and 54″ (4 feet 6 inches) across, with one end of the table rounded into a half circle. 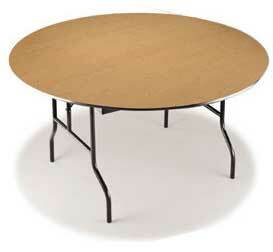 These tables are designed to be attached to each other end-to-end, for a very large banquet table. 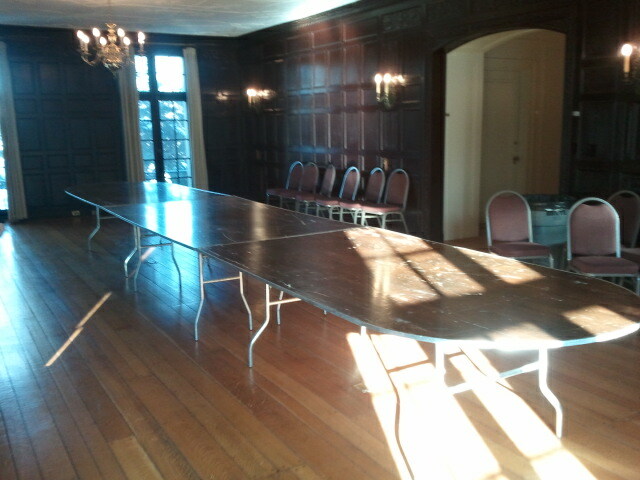 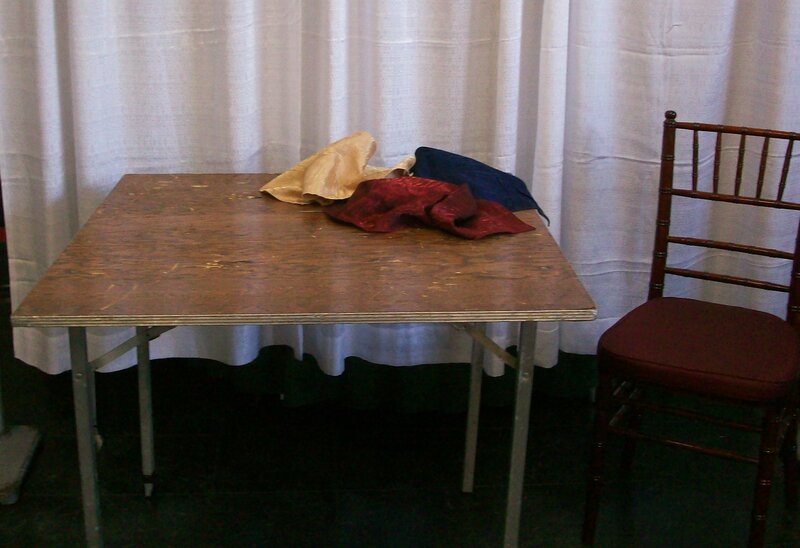 However, we are experienced in configuring such a wide table for varying lengths.